It has been 60 years since a group of students sat around a table in the cafeteria of a small Christian college discussing their activities and Christian service over the past weekend. I had preached one sermon on the radio and two sermons at the little country church I pastored. One young lady had sun a solo right before the pastor's message in a large local church. One after another we went around the table sharing our ministries of the weekend. Then came the bombshell. A girl who had recently transferred from a large state university told us that she spent her time from Friday night through Sunday night partying with a group of soldiers from a nearby army base. She told us that she was only in our school because her grandfather who was a pastor was a friend of the college president. It seems grandpa wanted her in a Christian university. When questioned about her sinful lifestyle she replied, "I am saved by grace. It doesn't matter how I live." fast forward 60 years. Recently I read on Facebook where a preacher was going to fill the pulpit of a certain church and he was inviting his friends to attend on that Sunday. He promised "I will not preach against sin." He said, "I preach only the love of God." He further said, "I believe I am saved by grace and it doesn't matter how I live." The fact is, it does matter how we live. it matters on so many levels. How we live affects other people, especially the one's who are closest to us and the ones we love the most. It matters how we live because we will all stand before the judgement seat of Christ and hive account of our deeds. Like the college students and the preacher there are others who apparently don't understand just how wonderful grace really is. Grace is not an excuse or license to sin. 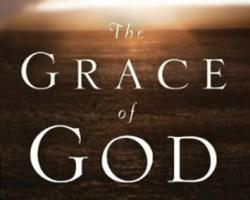 Grace is god's unmerited favor that saves us from sin. Grace is God's empowerment for us to overcome sin. Sin is horrible! It is against Hold God who is perfect in Holiness. Sin is a huge chasm that separates us from God. Sin will take you further than you want to go, keep you longer than you want to stay, and cost you more than you want to pay! By grace we are saved and by grace we live the Christian life.